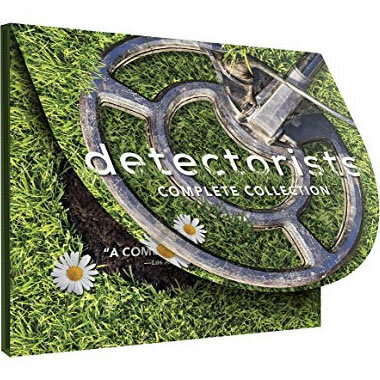 Resoundingly praised by critics and fans alike, this endearing British comedy follows two misfit friends and metal detecting enthusiasts as they scour the English countryside for treasure. Winner of BAFTA Awards for best comedy, best writing, and best actor (Jones), Detectorists stars Mackenzie Crook (Pirates of the Caribbean, The Office [UK]), Toby Jones (The Hunger Games, Infamous), and Rachael Stirling (The Bletchley Circle). Strange and obsessive characters that will make you laugh from the belly, choke on your popcorn, and spew drinks through your notes. It¡¯s that funny. A treasure of fun, quirky, characters that win your heart and tickle your funny bone. Mackenzie Crook (Game of Thrones) not only plays the lead role, but directs the series he writes. Toby Jones (Titanic) is his best pal. Rachael Stirling (Bletchley Circle) plays his wife, and her mother is played by Diana Rigg (Victoria, Bleak House). Toss in stars like Sophie Thompson and you know you have a winner of entertainment. After seeing Mackenzie in the British version of The Office, I would never have suspected him of having such a warm, tender side to him. He wrote, directed and stars in this series. I’ve watched the whole series several times and liked it so much, I have gifted the DVDs to friends who all enjoyed it. I was disappointed to find that he had no plans for a fourth season. You’ll love all the geeky, slightly obsessive characters in the Danebury Metal Detecting Club. I was almost tempted to buy a metal detector!